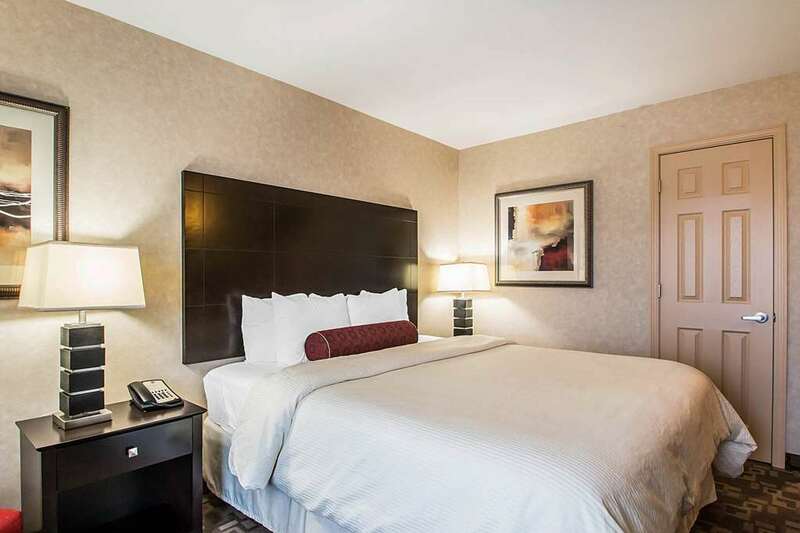 Get more value at the 100 percent smoke-free and pet-friendly Clarion Inn Elmhurst-Oakbrook hotel in Elmhurst, IL. We are near Chicago-O'Hare International Airport, Wrigley Field and Oakbrook Terrace Corporate Center. Life is better when you get together--you can enjoy such amenities as free WiFi, free ample parking,meeting and banquet rooms, restaurant, business and fitness centers, laundry facilities and an indoor heated pool. Guest rooms feature a coffee maker, hair dryer, iron and ironing board. Also, earn rewards including free nights and gift cards with our Choice Privileges Rewards program.